She is SO cool. I love the contrast of the pastel colors and the dark background. 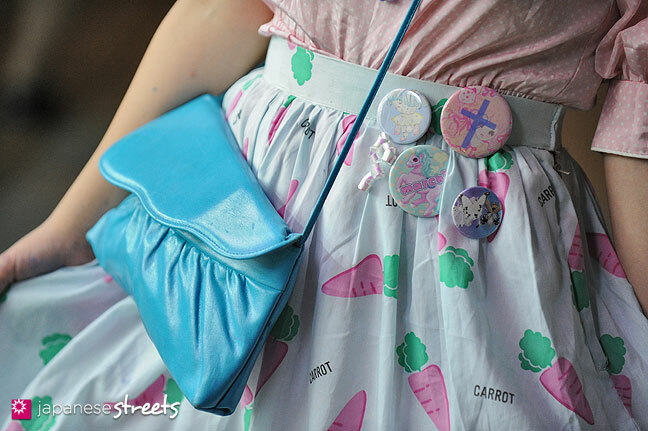 And that carrot print is awesome! 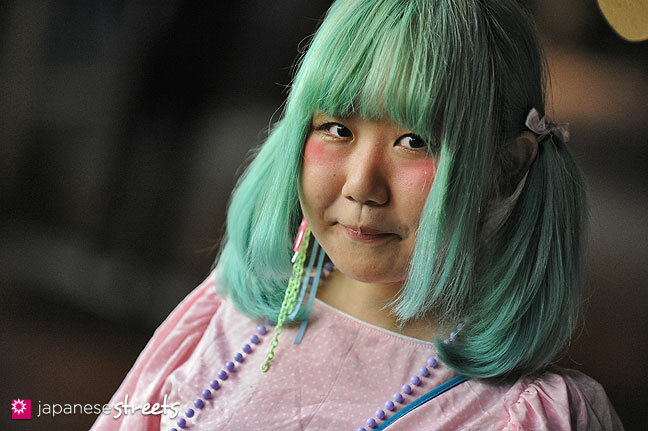 I love that turquoise color on her hair- that must have been hard to do over a natural dark shade. Sweet! I love her undergarment trousers and the cute strawberry skirt and just everything about this tender pastel look. Dosen`t look her face in the second picture a lot like this cute emoticon : :3 ???? 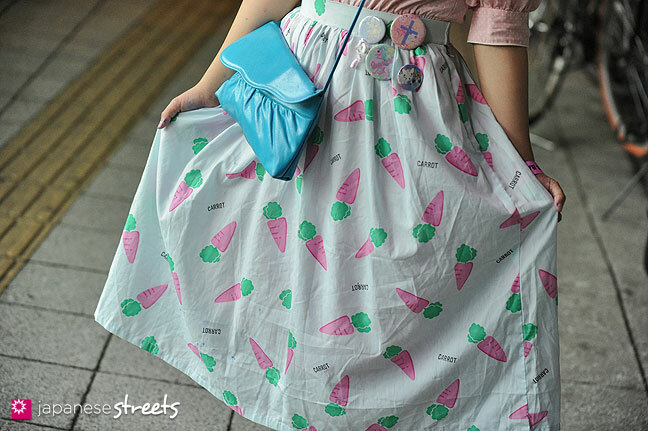 I first thought it was strawberries on the skirt, but then I saw that it was carrots! Haha…Now that you say that, I have really enjoyed a lot of your night shots. Not only because the photography is really good and interesting, but a lot of street snap sites don’t have many night shots. Tokyo is so cool at night! Why wouldn’t you? @Lactose Intoler-Art: True. But it is really difficult to shoot at night. Especially when you don’t use strobes like me. 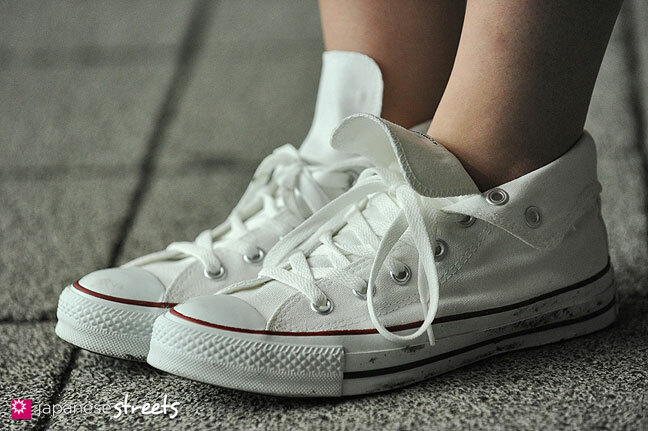 It is quickly too dark, it’s difficult to get the colors right and of course people need to trust you.